What it is: Apple will soon improve their Maps app with data updated from their own test vehicles. Apple Maps is largely still behind Google Maps, but there’s a reason for that. Google had years to refine their mapping app. Then Apple realized that if they relied entirely on Google for their mapping data, they would never have the crucial data needed to identify landmarks around an area. Even worse, Google held back features on Google Maps for iOS while releasing them for Android in an attempt to make Google Maps better on Android, thereby convincing more people to abandon iOS for Android. To improve Google Maps, Google asked Apple for more money. Apple refused to pay this additional fee so they simply created their own Apple Maps instead. Initially, Apple Maps was more of a beta than a finished product, which showed obvious inferiority to Google Maps. Even to this day, Apple Maps often pales to Google Maps, but the difference is shrinking. Apple absolutely had to create their own mapping app to avoid being limited by Google and to access crucial driving directions that would be important for self-driving car technology. Apple literally had no voice but to create Apple Maps despite its obvious inferiority. Apple has steadily been improving Apple Maps since its introduction in 2012 but it’s still an uphill battle. To improve Apple Maps, Apple has been sending its own vehicles around the world to map out roads. The eventual goal is to create maps that can handle construction and road changes in real-time. Of course, we may need to wait years for this to happen, but at least Apple Maps is moving in the right direction. The key is that knowing the location of landmarks is vital data for self-driving cars and augmented reality. 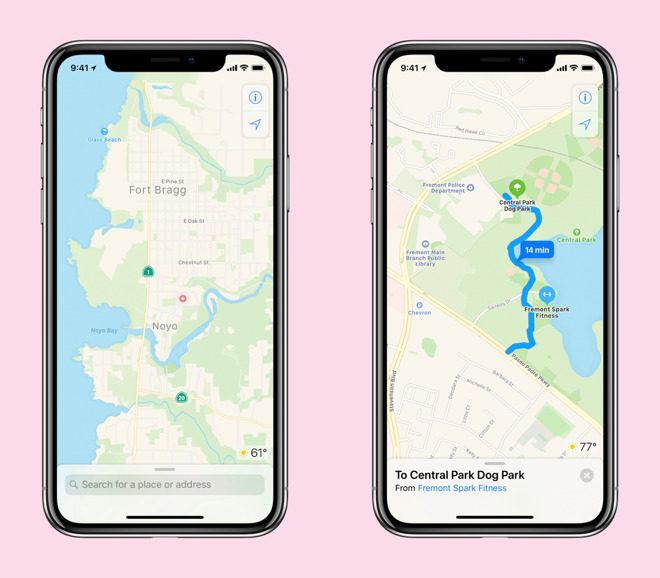 Apple needed their own mapping app so they can control their own fate, regardless of how painful this transition may be initially for themselves and their customers. This is why Apple is also rumored to be looking to cut their ties with Intel processors so they will no longer be dependent on Intel’s schedule (like every other PC maker). If Apple Maps is any indication, expect Apple to slowly control their own future by developing their own technologies. Ultimately, it’s the only way companies can control their future. To read more about the future of Apple Maps, click here. What it is: Disney is experimenting with augmented reality to create interactive coloring books. Ebooks are basically static text and graphics. Their main advantage is that they take up little space compared to carrying a physical book around. Even better, you can quickly search through an ebook in ways that you cannot do with a paper book. The big drawback of ebooks is that they’re less convenient to read since people are still used to reading paper books. As long as ebooks offer static text and graphics like ordinary print books, they’ll have slight advantages that won’t sway the majority of people to embrace ebooks. That’s why ebooks need to embrace interactivity. This will allow ebooks to provide animation and changing views that will be far more versatile than the simple pop up books of paper children’s books. Yet even interactive ebooks are struggling to gain acceptance. However, what might make interactive ebooks far more appealing will be augmented reality. Disney is experimenting with interactive coloring books that combine paper books with an augmented reality app on a smartphone or tablet. The idea is that children can draw on the paper coloring books and then use their mobile device to view a three-dimensional image of their drawing at the same time. Such interactivity can make printed books just as interactive as ebooks. Take this technology further and the future might bring interactive instruction manuals. Instead of a printed manual listing instructions and static images, it could let you aim your mobile device at an item so you can see how to take it apart and fix it. Aim a mobile device at a car engine and augmented reality can show you where to change the oil or how to remove and replace a fan belt. Aim a mobile device at furniture from IKEA and it might show you step by step how to put the pieces together. 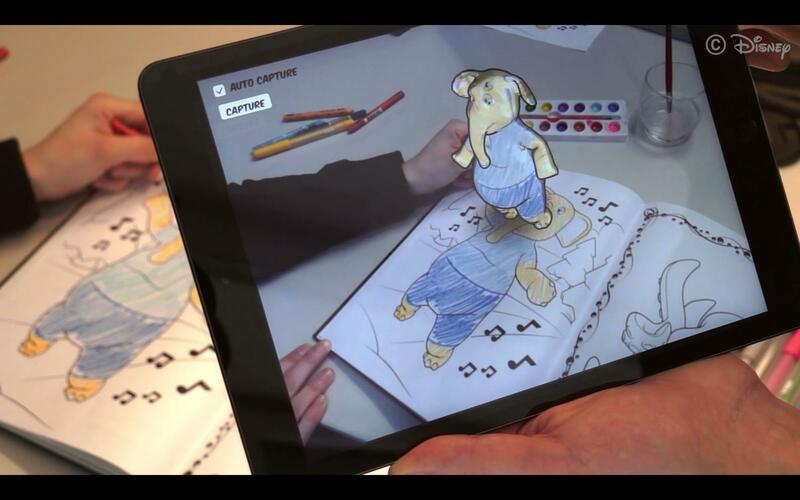 Augmented reality promises to create interactive paper and ebooks. From repair manuals to coloring books, augmented reality can help turn any book into something visual and far easier to follow than reading dry lists of instructions. To read how Disney is experimenting with augmented reality to create interactive coloring books, click here. Are Keyboards and Mice the Best User Interface for Gaming? What it is: Microsoft may hand keyboard and mouse support to the Xobox One game console. Game consoles like Microsoft’s Xbox and Sony’s Playstation make life easier for developers because they know exactly what type of hardware to expect. Unlike the PC that can come with varying amounts of memory and graphics card capabilities, game consoles are generally fixed. However, gamers have discovered a unique problem. PC gamers rely mostly on a keyboard and mouse while console gamers rely mostly on joysticks. With cross-platform games like Fortnite becoming popular, keyboard and mouse gamers are dominating their joystick playing competitors. That’s why Microsoft may offer keyboard and mouse support for the Xbox. Such support could allow gamers to gravitate towards the Xbox at the expense of the Playstation if they find that games are easier to play with a mouse and keyboard. That means Sony will have to offer similar keyboard and mouse support as well or risk falling behind. If more gamers start embracing mice and keyboards, that could limit joysticks and other devices to second class status. Essentially, this is part of the demise of game consoles. PCs are far more flexible than game consoles in the same way that people prefer PCs over the Macintosh since its’ far easier to customize and modify a PC compared to a Macintosh. If people don’t like the closed architecture of a Macintosh, why would they settle for the closed architecture of a game console? Especially if a game console doesn’t support a mouse and keyboard that allows players to defeat non-mice and keyboard users with ease? Mice and keyboards are likely going to be standard user interface devices for years to come, thanks to gaming. In fact, mice and keyboards might be around longer than game consoles which are being threatened by mobile devices on the one hand and PCs on the other. Given a choice between a game console and a gaming PC, more people are looking at gaming PCs, and that could spell the end of the game console in the future. To read more about the advantages of the keyboard and mouse in gaming, click here. What it is: Qualcomm is readying a Snapdragon ARM-based processor for PCs and Apple is reportedly doing the same. In the old days, everyone had to use a Windows PC for everything from instant messaging to maps. Then smartphones arrived and now most people rely on smartphones instead of PCs to do many tasks. That means people are far less dependent on PCs and far more dependent on mobile devices like smartphones and to a much less extent, tablets. The processors powering PCs are x86 processors made by Intel and AMD. The processors powering mobile devices are based on energy-efficient ARM processors. Apple makes their own ARM processors called the A-series and Qualcomm makes a similar ARM-based processor called Snapdragon. The huge problem is that x86 processors are powerful but not energy efficient. That’s why ARM-based processors are getting more powerful while retaining their energy-efficiency. It’s only a matter of time before ARM-based processors are both more powerful and more energy-efficient than x86 processors. When that happens, there will be little reason to use x86 processors any more. That’s why Microsoft is trying to shift Windows to ARM-based processors and that’s why Apple is rumored to be shifting the Macintosh to ARM-based processors from x86 processors sometime in the future. ARM-based processors already use less power than x86 processors and when they’re more powerful, x86 processors will have no advantages. In the server market, ARM-based processors generate far less heat and require far less electricity to run. In the ordinary PC market, ARM-based processors allow laptops to run longer on batteries. When both PCs and smartphones rely on the same processor, it will be easy to run the same programs and share data between the two. Now how will Microsoft and Apple shift their computer users to ARM-based processors? Microsoft has tried in the past and ran into problems with compatibility. Most Windows users want to run their old x86 Windows programs, so Windows on ARM processors must also find a way to run x86 Windows programs as well. Apple has this same problem with the Macintosh. If Apple shifts the Macintosh to ARM-based processors, people will still want to run their older x86 Macintosh programs in addition to running Windows programs too. The best solution may be to simply create a computer version of a mobile device. Apple can create a laptop and desktop that runs iOS and relies on a keyboard and a mouse/trackpad. Ideally this new computer should have a different name than the Macintosh to avoid confusing people. Then Apple needs to shift Macintosh users to this newer computer by offering a compatibility bridge such as including an x86 processor inside this new computer. That would let it run older Windows and Macintosh programs. Whatever form this transition takes, it must be seamless or people will reject it like people rejected Windows RT for not being compatible with Windows. The future is ARM and that future is coming soon. To read more about the transition to ARM-based processors, click here. 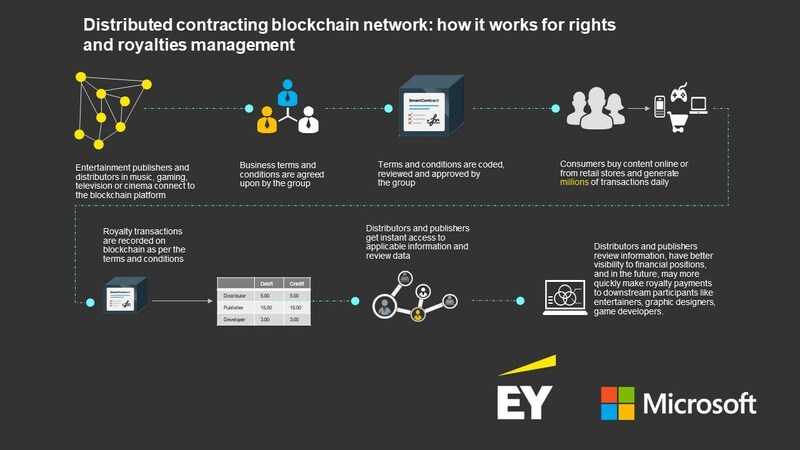 What it is: Microsoft and Ernst & Young teamed up to create a blockchain to track royalty payments for game developers. When most people think of blockchains, they only think of cryptocurrencies like Bitcoin. That’s because cryptocurrencies are the most popular and common use for blockchains, but it’s not the only use. The main use for blockchains is to act as a transparent and trustworthy ledger. That ledger can track anything from cryptocurrency prices to royalty payments, and that’s exactly what Microsoft plans to do with their blockchain. Right now, game developer royalties are tracked but this information isn’t always easy to find or even accurate. Microsoft’s blockchain hopes to make this royalty payment system accurate and transparent, allowing game developers to see their royalties at any time and verify that they’re getting paid on time and the proper amount. Blockchain technology can theoretically be used for tracking any type of payments beyond royalty payments to game developers. Think of authors, musicians, and photographers. Kodak has created their own cryptocurrency to help track royalty payments for photographs. That way any time anyone uses a copyrighted photograph, they’ll have to pay a nominal fee and that transaction will get recorded in Kodak’s blockchain. Whether Microsoft’s blockchain experiment proves feasible or not isn’t as important as the fact that a large company like Microsoft is willing to try. This should point out the flaws of blockchains and also the advantages. Others will learn from Microsoft’s experiment and create additional blockchains of their own. Eventually blockchains should be commonplace because of their open and accurate nature. Remember, cryptocurrencies aren’t the only use for blockchains. If you want to get rich, you can avoid cryptocurrencies and focus solely on blockchains. That’s a far more stable route, much like investing in the companies that make slot machines and run casinos rather than gambling money in a slot machine yourself. Blockchains are here to stay. Now we just have to figure out how to use them in business where Microsoft’s blockchain experiment is just one of many that will show us the potential of blockchains in everyday life. To read more about Microsoft’s blockchain for tracking royalties for game developers, click here. What it is: Apple’s long-awaited wireless charging mat may soon arrive this fall. 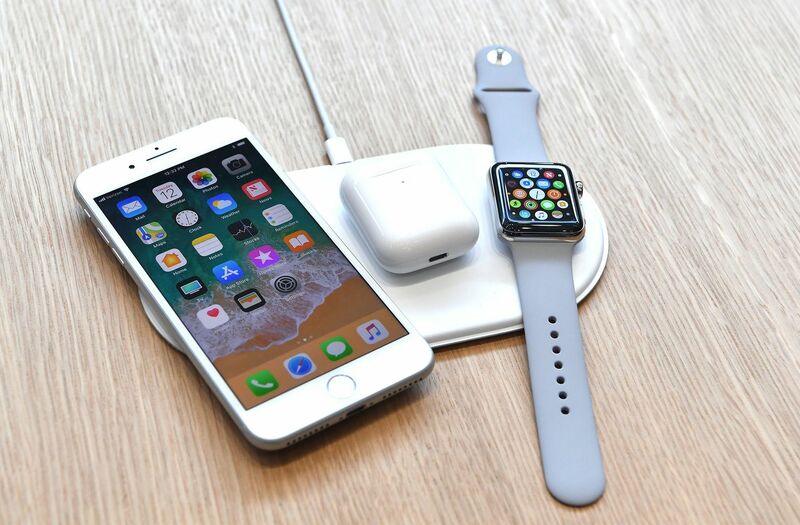 Back in September 2017, Apple teased their AirPower wireless charging mat that would let you charge an iPhone, Apple Watch, and AirPod case all at the same time. Almost a year later, the AirPower wireless charging mat may be ready. Why did it take so long? Engineers reportedly needed to fix bugs, but that doesn’t excuse the fact that Apple announced this product long ago. There’s little point in announcing products if they’re not ready to ship. Microsoft learned this the hard way by repeating promising products that failed to deliver on their promise. When Microsoft announced their Surface tablets, they weren’t available for months, which meant all those people who got initially excited about buying one likely did not when the Surface tablets were finally available. Now Apple is repeating this same mistake of announcing products that aren’t even available. Besides the AirPower wireless charging mat, Apple also announced their HomePod smart speaker and then failed to release it by Christmas like they promised. This resulted in lost sales and a growing reputation for sloppiness. The next time Apple announces a new product, nobody will believe it will be available unless Apple offers it for sale right at that moment. If Apple were smart, they would hold off new product announcements until they actually had them ready to ship. Then they would surprise people and use that product announcement to entice more people to buy who might otherwise not buy if they had to wait. In the world of sales, you always want to make sale now, not tomorrow because the longer you wait, the more likely potential customers will simply buy something else or choose not to buy altogether. Apple used to announce new products and then offer them for sale immediately. That’s the best way to surprise and delight customers because then people are amazed at the new product and want to be the first ones to have it. Waiting guarantees fewer sales and poor publicity. Perhaps Apple will start changing their ways. If they don’t, they risk creating unhappy customers who will start looking for alternatives. Just as Microsoft wasn’t immune to bad publicity, neither is Apple. Apple can fix this problem by simply shipping products when they announce them. It’s really that simple. To read more about the coming AirPower wireless charging mat, click here.